WiseGuyReports.com adds “Specialty Insurance Market 2018 Global Analysis, Growth, Trends and Opportunities Research Report Forecasting to 2023” reports to its database. This report provides in depth study of “Specialty Insurance Market” using SWOT analysis i.e. Strength, Weakness, Opportunities and Threat to the organization. The Specialty Insurance Market report also provides an in-depth survey of key players in the market which is based on the various objectives of an organization such as profiling, the product outline, the quantity of production, required raw material, and the financial health of the organization. WiseGuyReports.com adds “Smart POS Market 2018 Global Analysis, Growth, Trends and Opportunities Research Report Forecasting to 2025”reports to its database. Since its founding, Yalber has provided more than 5,000 businesses with over $300 million in working capital solutions to grow. Proceeds from the transaction will be used by the Company to execute its strategic growth plan and accelerate their ability to provide more small businesses with access to attractive non-bank financing. When small businesses find it hard to overcome funding issues from traditional sources of capital, Yalber remains committed to helping them accomplish their goals. Yalber offers small business owners in a variety of industries across the U.S. the option to fund their businesses for any purpose with up to $500,000. The Company’s technology-enabled platform allows for a streamlined process, with most qualified businesses funded within 24 hours. Brean Capital served as exclusive financial advisor to the Company on the transaction. The senior credit facility provided by an institutional credit fund focused on specialty finance and related investments. Founded in 2007 and headquartered in New York City with strategic offices in Dallas, Los Angeles and San Francisco, Yalber is a technology-enabled specialty lender, leveraging proprietary origination, disciplined underwriting and performance analytics to improve the speed, cost and choice of capital available to small and mid-sized businesses throughout the U.S.
TEXAS, UNITED STATES, February 16, 2018 /EINPresswire.com/ — When you are trying to develop a portfolio of fixed income, Real Estate Investment Trusts should be one of the major considerations. REITs help you with better diversification and increase of ROI level. Moreover, it will also lower the risk potentials. To say simply, this is useful for generating dividend earnings and capital appreciation, and so, you may easily balance the cash stocks and bonds. REITs are intended for the management of commercial property that helps in earning money. You may invest in companies by using mutual or exchange-traded fund or as an independent person. Prior to guiding on the investment, we like to give you a better idea of REITs. They are only the organizations, which can own and operate a real estate. Many of them also procure apartments. In most cases, the legal rules state that they have to allocate almost ninety percent of the profits as dividends. Investors can get the dividends from the chosen REITs on a quarterly basis. Thus, it is a good option for the retired persons, who look for income consistently. How Should You Make an Investment in REIT? You may invest in REIT shares, included on the stock exchange. We have seen that over seventy million citizens in the USA invest on REITs with the retirement fund. Financial specialists, investment consultants, and brokers help in the analysis of financial targets of the investors. 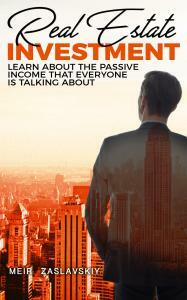 They may also give you the best tips on the investments on REITs. You have an option of choosing private or public REITs. REITs consider the net earnings for the major measurement factor of performance. They also use FFO as another measurement of generated cash. This FFO indicates the overall income that does not include losses and profits from property depreciation and sales. For the realty sector, there are higher chances of appreciation that depreciation. The Increase of REIT' Income – What are the Major Factors Behind It? REIT income growth relies mainly on higher ROI and better opportunities for business. Moreover, higher rental rates and house tenancy rates are also the factors, causing an increase in revenue. Acquisition of other real estates may also cause an increased income. REIT Share Value – How to Assess It? Is there Any Risk Related to REIT Investment? We know that the long-term profit from REIT is attractive. However, in few instances, you may also find its underperformance. As an investor, while you are searching for bond alternatives, should have good knowledge of these risks. REIT has also a potential for causing negative returns, while there is an increasing interest rate. For the lower interest rates, the investors may leave safer resources for having their earnings from other market areas. Thus, REIT cannot be considered as bonds; you may call it as equities. Just as other equities, it also poses slight risks. Thus, you have to consider these risks while measuring the performance of REIT. REITs may not be your best target for investment all the time. However, still, you will gain much money by investing with the right technique at the right time. The correlation of REITs with other market sectors is much low, and thus, while the trends of market affect them, the performance level may get deviated from stock indices. The investors will gain from the reduced instability of their portfolio. Simultaneously, they can enjoy higher profits. During inflation also, they may not experience much negative impact as the price of real estate gets increased due to inflammation. However, you must remember that your dividends from REITs are taxable. 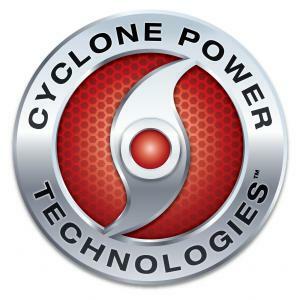 POMPANO BEACH, FL, February 16, 2018, Cyclone Power Technologies, (OTCPK: CYPW) Cyclone Power Technologies is pleased announce that we have entered into settlement agreements with all of the holders of judgements against the company, and have greatly reduced the amounts of outstanding debt on the books over the past 6 months. Cyclone has negotiated settlement agreements with the all of the convertible debt Judgement holders and has been making payments as per the schedules. Cyclone has also seen a major reduction of over 40% on the convertible debts that have been plaguing the company for many years. “Getting out from under these huge burdens has been an extremely hard ordeal, but now that we are making significant headway, we can continue to focus our efforts on the future and not the past!” states Frankie Fruge, President. Cyclone has also begun to work on the yearly audit and is in the process of de-recognition of a substantial amount of aged payables that has been on the books for over 5 years from a prior acquisition. Cyclone has been working very closely with the new investor group through the due diligence period and are continuing to receive payments per the schedule. The Investors are diligently working on the Microgrid solutions with Cyclone and all the components that it entails. Cyclone has brought on new engineers with major industry experience to assist with this endeavor. “ The due diligence period is going very well and we are all excited to finally have the proper funding to bring on the help needed to get the engines finished and out the door” stated Harry Schoell, CTO & Chairman. Once the system is complete, it will be sold worldwide through our new operating subsidiary to a long list of distributors that our investor group currently has working relationships with. The heart of the Microgrid system is the new Mark 10 engine producing 1500 plus horsepower at 7’ X 7’ footprint. We are currently in discussions with a few OEM’s to manufacture and supply customers with the new systems. Our Microgrid system will allow customers to generate their own power from the sun. They can then store the heat for a longer period of time than is currently available in the marketplace through our new thermal storage unit. The stored heat is used in the Mark 10 engine to produce power to the generator which can then be used or sell it back to the grid using the latest technology available. Cyclone is introducing a Pioneer program for the first Microgrid systems and generators. Please watch for the details and updates. SINGAPORE, SINGAPORE, February 16, 2018 /EINPresswire.com/ — Singapore – 16 February 2018: Offering the first payment gateway using cryptocurrency supported by gold, Puregold.io has entered into a partnership with Business Operating System (BOS) pioneer, Orca. Puregold's ICO is now live, and is offering a 10% bonus. Orca, an easy-to-use, intelligent BOS based in Singapore and Malaysia, is used in food and beverage (F&B) businesses across eight countries. By connecting various modules and solutions, Orca promotes a seamless flow of information to provide accurate and timely data to improve operations. BOS is a collection of business processes to boost the efficiency of each function of one's business. It includes the fundamental framework, policies and routines needed to operate and grow a business. Orca also has many Point of Sale (POS) systems in Malaysia and Singapore. Puregold will provide free payment machines and tablets that properly include the POS system to merchants, and manage promotion for the payment gateway, using ICO funding. This will put Puregold in a strategic position to acquire merchants in Asia. Puregold is working with COSS Exchange in managing the ICO marketing & listing, and talks have also started regarding a potential future cooperation when it comes to POS/payment gateway solutions. When the price of gold increases, the payer can make use of the increase in value to make payments when buying products, and the does not need to pay a transaction fee as the exchange rate of gold versus currency is at 'spot price,' (the current market price at which an asset is bought or sold for immediate payment and delivery). The payee, on the other hand, pays a transaction fee of 1%. This is akin to purchasing gold at 1% above spot price, which is extremely attractive. Many businesses and merchants are keen to come onboard the Gold Commerce Platform to offer their products and services and accept payment via PG Pay (Puregold Pay). Puregold is building the Gold Commerce Platform for a digital gold payments era, and launched the mobile app in January, bringing these merchants online. "Payments Landscape in Italy: Opportunities and Risks to 2021", report provides detailed analysis of market trends in the Italian cards and payments industry. It provides values and volumes for a number of key performance indicators in the industry, including credit transfers, direct debit, cash, payment cards, and cheques during the review-period (2013-17e). – Current and forecast values for each market in the Italian cards and payments industry, including debit, credit, and charge cards. – Detailed insights into payment instruments including credit transfers, direct debit, cheques, cash, and payment cards. It also, includes an overview of the country's key alternative payment instruments. – Analysis of various market drivers and regulations governing the Italian cards and payments industry. – The emergence of digital banks is likely to accelerate a shift towards electronic payments in Italy. The German-based mobile-only bank N26 launched its services in Italy in December 2015, allowing consumers to conduct banking transactions entirely on their mobile phones. Similarly, in 2013 Banca Nazionale del Lavoro (BNL) launched Hello Bank!, a digital-only bank that offers customers standard banking features. In January 2017, UniCredit Bank announced plans to launch the mobile-only buddybank, which will offer current accounts, credit and debit cards, personal loans, and 24/7 personal assistance. According to the bank, buddybank will be available on the Apple App Store from January 29, 2018. – To capitalize on the rising preference for alternative payments, international payment service providers are strengthening their presence in Italy. In May 2017, Apple launched its payment solution Apple Pay, enabling Apple users to make payments in-store, in-app, and online. In March 2015, Sweden-based company Seamless entered the Italian payments market with the launch of its Seqr mobile payment app. Similarly, in August 2015 US carrier billing service provider Boku acquired mobileview Italia, another carrier billing service provider. This acquisition provides Boku with access to 87 million mobile subscriptions. PayPal partnered with Vodafone in February 2016, enabling its customers to make contactless payments by linking their accounts to the Vodafone Wallet. – To promote electronic payments, the No Cash Day Project was launched in 2011. The project, sponsored by the government, was launched to raise awareness and promote the benefits of electronic payments through conferences, interviews, surveys, and contests. A national project aimed at reducing cash payments was launched in 2015, in association with Maestro, Mastercard, Visa, UBI Banca, Bancomat Consortium, and Banco Popolare. As part of this, Bergamo was made a cashless city. Residents were offered discount coupons and vouchers on a daily and monthly basis for adopting electronic payment platforms. According to CartaSi, the city of Bergamo far exceeded the goal of the cashless city project by registering 611,623 cashless transactions in May 2015 against the set goal of 565,000 transactions. – Make strategic business decisions, using top-level historic and forecast market data, related to the Italian cards and payments industry and each market within it. – Understand the key market trends and growth opportunities in the Italian cards and payments industry. – Assess the competitive dynamics in the Italian cards and payments industry. – Gain insights into marketing strategies used for various card types in Italy. – Gain insights into key regulations governing the Italian cards and payments industry. "Payments Landscape in Ireland: Opportunities and Risks to 2021", report provides detailed analysis of market trends in the Irish cards and payments industry. It provides values and volumes for a number of key performance indicators in the industry, including credit transfers, direct debit, cash, payment cards, and cheques during the review-period (2013-17e). – Current and forecast values for each market in the Irish cards and payments industry, including debit and credit cards. – Detailed insights into payment instruments including credit transfers, cheques, direct debit, cash, and payment cards. It also, includes an overview of the country's key alternative payment instruments. – Analysis of various market drivers and regulations governing the Irish cards and payments industry. – Detailed analysis of strategies adopted by banks and other institutions to market debit and credit cards. – On January 1, 2016 the Irish government replaced stamp duty with a surcharge on ATM cash withdrawals, with the aim of discouraging use of debit cards at ATMs and driving POS transactions. Until 2016, consumers were charged a flat annual stamp duty of €2.50 ($2.60) on ATM cards, and €5 ($5.30) on combinations of debit and ATM cards, irrespective of frequency of use. This is now replaced with a new tax structure under which card holders are charged €0.12 ($0.13) per ATM cash withdrawal, with an annual cap of €2.50 ($2.60) on ATM cards, and €5 ($5.30) on combinations of debit and ATM cards. In contrast, debit card transactions at POS terminals are free of charge. This is expected to discourage card use at ATMs and encourage use of debit cards for in-store payments. – In December 2015, the EU-wide cap on interchange fees was implemented in Ireland. However, the Irish government implemented a debit card interchange fee cap of 0.1%, which is 50% lower than the standard EU cap of 0.2%. The interchange fee cap on credit cards, however, remains at the EU level of 0.3%. While the regulation is expected to substantially impact the profitability of card issuers and schemes, according to the Irish government the cap will help merchants save up to €36m ($37.9m) annually, encouraging them to accept card-based payments. – Irish consumer uptake of contactless technology is rising. The Irish government increased the contactless payment limit from €15 ($15.80) to €30 ($31.60) from October 31, 2015. In March 2017, Visa announced that more than 3 million contactless transactions on Visa debit cards were made every week in Ireland, increasing from 1.3 million contactless payments per week at the end of March 2016. This was due to the increase in contactless spending limit and growing adoption of contactless POS terminals by retailers. Almost all major banks, including Kredietbank ABB Insurance CERA (KBC Bank), Allied Irish Bank (AIB), permanent tsb, Bank of Ireland (BOI), and Ulster Bank now offer contactless cards. – Make strategic business decisions, using top-level historic and forecast market data, related to the Irish cards and payments industry and each market within it. – Understand the key market trends and growth opportunities in the Irish cards and payments industry. – Assess the competitive dynamics in the Irish cards and payments industry. – Gain insights into marketing strategies used for various card types in Ireland. – Gain insights into key regulations governing the Irish cards and payments industry. "Payments Landscape in the UK: Opportunities and Risks to 2021", report provides detailed analysis of market trends in the British cards and payments industry. It provides values and volumes for a number of key performance indicators in the industry, including credit transfers, direct debit, cash, payment cards, and cheques during the review-period (2013-17e). – To enhance competition and innovation in the payment and banking spectrum, the Open Banking service was launched by the Open Banking Implementation Entity (OBIE). Due to be launched on January 13, 2018, the service allows banks’ customers to give other companies permission to securely access their accounts. Customers can also access a range of services from different types of companies regulated by the Financial Conduct Authority (FCA) or any another European regulator. Initially, the service will cover only personal and small business accounts; other banking products and services such as credit cards and e-wallets will be added throughout the course of 2018 and 2019. OBIE is an entity created by the UK’s nine largest personal and small business current account providers, collectively called CMA9. These are Barclays, Lloyds Banking Group, Santander, Danske, HSBC, RBS, Bank of Ireland, Nationwide, and AIBG. In July 2017, the Bank of England opened up the UK’s RTGS payment system to non-banking payment service providers (PSPs). As a result, non-bank PSPs can apply for a settlement account in the RTGS system. The move will allow non-bank PSPs to offer a wider array of payment services and will lower their dependency on banks for access to payment systems. Non-bank PSPs are expected to start joining the RTGS service from 2018. – In order to streamline various operations within the UK financial services industry, a new governing body called UK Finance was set up in July 2017. The body was formed after the merger of the Asset Based Finance Association, the British Bankers’ Association, the Council of Mortgage Lenders, Financial Fraud Action UK, Payments UK, and the UK Cards Association. The new organization represents around 300 firms in the UK offering credit, banking, markets, and payment-related services. The merger is anticipated to lower operational costs and result in a more co-ordinated approach towards issues such as payment fraud, and access to newer technologies. "Payments in Norway 2017: What Consumers Want", report examines the consumer payments market in Norway, considering payment cards, online payments, P2P payments, and newer payment technologies such as mobile wallets and contactless. The report also examines the main regulatory players overseeing the market. The card reigns supreme in Norway, with few individuals using cash on a daily basis and most possessing a minimum of two payment cards. Norway’s strong card and payment industry is the result of a robust economy, an efficient domestic debit card scheme (BankAxept), and increasing consumer appetite for credit. The average number of monthly card transactions and the average annual spend per card is higher in Norway than in more developed markets such as the US, the UK, France, Germany, and Australia. Electronic payments have gained ground during the last 10 years, as the government has invested substantially in building long-term infrastructure for cashless transactions. Affordable and widely available financial products, a consumer preference for e-payments, a competitive marketplace, and a transparent business environment will aid the move towards a cashless society. – Analyzes consumer attitudes to financial services by lifestage. – Analyzes the major payment card types in terms of both card holding and usage. – Identifies the major competitors in card issuing and how their position in the market has changed over the last five years. – Considers consumer attitudes towards P2P tools, mobile payment tools, and contactless cards, and how companies in Norway are deploying these tools to meet customer needs. – Explores the online payment market in Norway by merchant type and payment tool, as well as providing a five-year forecast for the development of the market. – All domestic debit card-based POS transactions and ATM withdrawals are carried out by BankAxept, whereas all international transactions and online purchases are carried out by international schemes. – Contactless technology in Norway is in its developmental stage, with only a few banks offering contactless cards. – Norwegian consumers are frequent online shoppers, and according to the E-commerce in the Nordics report published by PostNord in 2016 around 85% of consumers purchase goods online at least once a year. – Understand the key facts and figures in the consumer payments market in Norway. – Learn what trends drive consumer behavior at the macro level and plan your strategy accordingly. – Find out what products the major competitors are launching in the market. – Discover consumer sentiments towards various payment tools in the Norwegian market and use this knowledge to inform product design.